Archbishop Andrew McMenamin was born and raised in Ireland. He settled in the United States in 1979. He joined the Navy in 1980 and served with distinction for 34 years, during which time he participated in numerous campaigns. Commander McMenamin is a 100% DAV and Wounded Warrior who continues to support God, family and country. He was first called to ministry while serving on active duty. He started as a music minister in a small independent church in Georgia and eventually served as the church’s Associate Pastor. Because his active duty responsibilities frequently required that he transfer throughout the United States he was called to serve as a Chaplain with Law Enforcement, Fire, EMS and other positions within numerous communities. He also served with many local churches, giving him a particularly unique perspective on how to effectively serve in ministry while continually moving around the country. He has served as a pastor of two churches and as a Diocesan Bishop. 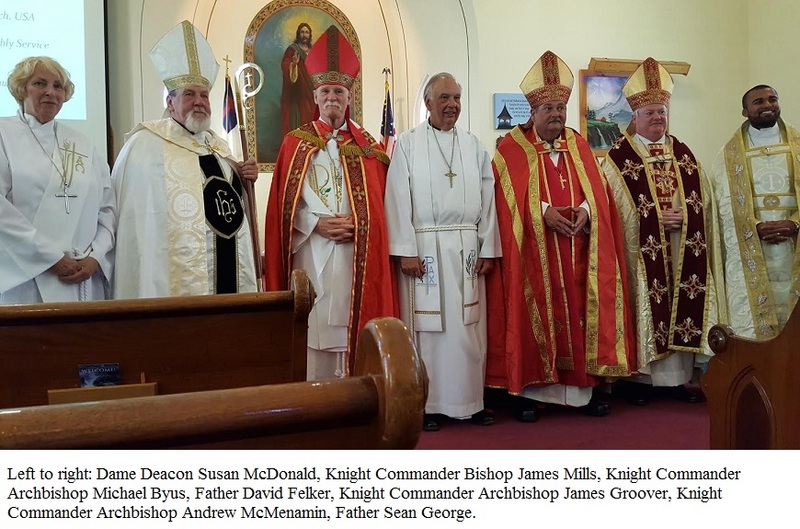 In April 2014 he was consecrated an Archbishop in the Anglican Episcopal Church, Int., and called to serve as the Metropolitan Primus of the Old Anglican Catholic Church, USA (SM). He is married to his beautiful wife, PJ. They have two grown children and two grandchildren. Archbishop McMenamin and his wife reside in the Outer Banks in North Carolina. ​The Old Anglican Catholic Church in the United States of American runs the Confraternity of the Knights of St. Peter & St. Paul in the USA. The Grand Chapter have chapters in many States including North Carolina, Kentucky, Pennsylvania, Illinois, Virginia, Louisiana, Florida and Washington State. The Grand Prior of the USA is the Most Rev. His Grace Archbishop Andrew McMenamin. God bless the Confraternity of the Knights of St. Peter & St. Paul. Prior for the Chapter of Pennsylvania. ​Prior for the Chapter of Illinois. ​Prior for the Chapter of Louisiana.